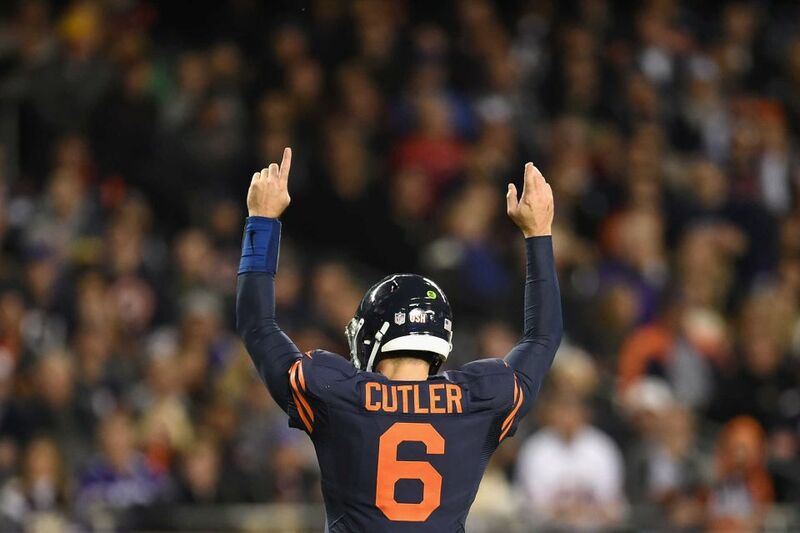 Audibles: Enthusiasm Grows, Cutler Stars, Gabriel Catches & More! Mentioned it on KFAN in Minnesota earlier in the week but I can’t remember this much enthusiasm and excitement around the Bears heading into a season. This might be the most I’ve seen since 2005 – the Year of the Blog – and that season’s optimism seemed to dwindle with Rex Grossman’s summer injury. (I wrote and produced my first play that year so it took me a month to get sad.) The Bears don’t believe they’re going to be 8-8 this season. They believe they’ll be playing football in January. This is more anecdotal than anything else but the player other fans and media covering other teams keep bringing up to me is Anthony Miller. There’s a real buzz about him in league circles. I’d still keep expectations low for any rookie wide receiver entering a new offense with this many pass-catching options but many others are not, including Miller himself. Honestly this was a lot harder to narrow down because the John Fox era has sucked something fierce. There are many, many games that you could make a case for, but after careful consideration I present to you the three worst games under John Fox. You remember that really dominant win against the Vikings I discussed yesterday? How the Bears had a bye week, and therefore plenty of time to get healthy and plan for a Tampa Bay team that was mediocre at best? Yeah, they ended up getting the crap kicked out of them in what was possibly Cutler’s worst performance as a Bear. He turned the ball over four times, including both a pick six and a fumble in the end zone that led to a safety. Jordan Howard also lost a fumble making it five turnovers on the day against a team that had previously struggled at getting takeaways. The defense didn’t fare much better, allowing Jameis Winston to throw for 312 yards and two touchdowns. Oh and this was also the game that Kyle Long tore up his ankle and was lost for the rest of the season (not to mention a good chunk of this one). A lot of the blame for this loss falls on Cutler, but the Bears had two weeks to prepare a game plan to beat the freaking Buccaneers and maybe turn the second half of their season into something worth watching. Instead they come out and lay a giant goddamn egg, spoiling whatever bit of goodwill they had built up in beating Minnesota two weeks before. You didn’t really think we were going to get through this without mentioning the Mike Glennon era, did you? While it only lasted four games, it felt like four lifetimes. The Bears traded up in the 2017 NFL Draft to get their future. If Ryan Pace & Co. are right about Mitch Trubisky, the Bears are looking at a decade plus of sustained, consistent success. If they are wrong, Bears fans are about three years away from another change in leadership. Yesterday I had a friend on the golf course repeat the completely debunked “fleeced” narrative to me. You know, the one about how Genius John Lynch took all of Gullible Ryan Pace’s money over a street corner game of three-card monte. Fleeced, they say. FLEECED?!?! The Bears gave up some mid-round picks in order to attain theirs (and basically the entire league’s) most highly-rated quarterback in the draft. They didn’t trade Jordan Howard, Kyle Long and two future firsts. They didn’t even go so far as to give up a pristine, beautiful, perfect second-round selection. They gave up some thirds. A fourth. And got their guy. What has been completely lost in the Trubisky conversation/debate is this: the kid is a great prospect. Not good. Not interesting. Great. In my mind, he was light years above the others in this quarterbacking crop and significantly better than either of the top quarterbacks from a year ago. Trubisky has size, speed, elusiveness, arm strength, intelligence, guts and – perhaps most importantly – he’s all football, all the time. The Tarheel signal caller may not pan out as one of the league’s best quarterbacks but it won’t be because he hasn’t put in every single second required to do so. Oh, and that guy described above? He’s on the Bears now! He’s on the Bears because they have a general manager who knew Mike Glennon is nothing more than a guy who could have carried the water for a year should the team had been unable to attain a quarterback in this year’s draft. They have a general manager who recognizes ‘good enough’ at quarterback in the NFL is never good enough. 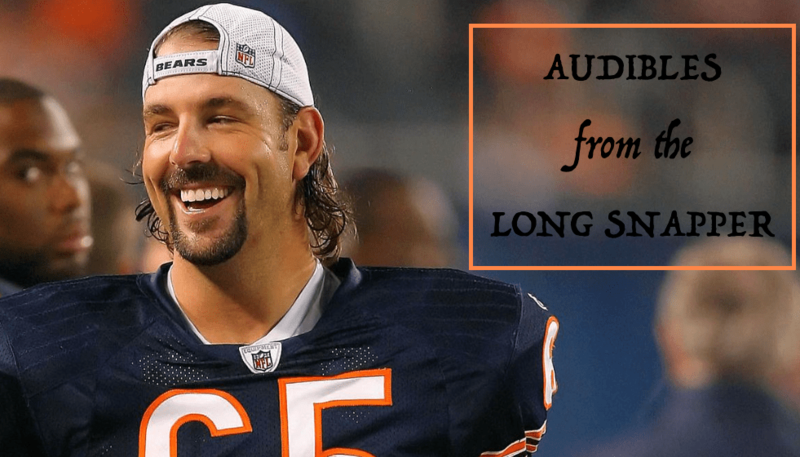 When Jerry Angelo made the boldest move in modern Chicago Bears history – giving up a pile of picks to acquire Jay Cutler – it changed the franchise for the next decade. Did it work out? No. For a myriad of overly-analyzed and debated reasons the Bears didn’t win enough games with Cutler at quarterback. Was it the right move to make? Unquestionably. The second boldest move in modern Chicago Bears history happened Thursday night, April 27th, about fifteen minutes after the 2017 NFL Draft commenced. In the long-term it could provide the Bears their Aaron Rodgers and cement Pace’s legacy in Chicago. In the short-term it has lined the mirror and handed a rolled up $20 bill to Bears fans and media. A quiet coffee shop of an off-season program and Bourbonnais summer has become 2 AM at Limelight in the 80s. For years we heard defensive coordinator Greg Blache tell us sacks were not important when it comes to pass rush. When while wide receivers were dominating the game, we watched Angelo ignore the position year after year after year. Now the Bears are led by a man aware of his surroundings and unafraid to dramatically alter them in an attempt to improve. It’s called guts, folks, and the Bears GM has ’em. He’s taken the risk. Now we all hope to reap the reward. And in the meantime, there’s a buzz about the Bears again. Editor’s Note: This will likely be the last column about Jay Cutler to appear on this blog after the last 9 years of intense conversation and debate. I’d like to thank Jay for everything he gave this organization. He played the toughest game on earth, played it broken half the time, and then had to deal with a city and media that never gave him a fair shot. I wish him nothing but success moving forward. -JH. Brad Biggs just couldn’t help himself, couldn’t hide his bias. In a story that was supposed to be about praising new Bears quarterback Mike Glennon, the Tribune reporter decided to take two shots as Cutler as he prepares to leave town – questioning his leadership and production. The Bears didn’t win enough games with Cutler. He didn’t put up monster statistics. But Cutler was a good quarterback for a team that has never had good quarterbacks and now we all have to go back and see how the other half lives. Jay Cutler will exit Chicago without any appreciation for how he played for the Bears. While some have argued that this is a bad year to need a quarterback, I strongly disagree. Over the last few weeks, I have spent countless hours watching and breaking down all of the popular veteran options the Bears may turn to in hopes of fixing their quarterback position this off-season. Below you will find a ranking of those players, not just in terms of talent but with cost and long-term viability figured in. Some are reporting that Glennon is going to get big money to start somewhere. I’m not sure I believe that. He’s not accurate, mobile or particularly smart with the ball. He was Josh McCown’s backup. It’s long been forgotten but Barkley did a lot of good things with the Bears last year. He just can’t keep throwing interceptions at the rate that he has throughout his career. I can’t help but wonder what a full off-season with this offense and coaching staff could do for him. He shouldn’t be brought back as a starter, but there are a lot of teams with worse backups. Maybe the biggest problem with McCarron is the cost. The Bears would have to give up a draft pick and then sign him to a new contract. This is fine if he’s a good, starting-caliber quarterback. I just don’t think McCarron is.